In the eastern suburbs of India’s financial capital Mumbai, is a 132-hectare-wide mountain of garbage. Known as the Deonar dumping ground, it has long exceeded its capacity as a landfill. Attempts to ensure a scientific closure of the site have yet to materialise, and it frequently reminds residents in neighbouring areas of its presence by catching fire and sending pollution levels in the city soaring. With the pollution come discussions about the large amounts of waste Indian cities are generating. India produces an estimated 62 million tonnes of municipal solid waste annually, a figure which is likely to reach 165 million tonnes by 2030. As per a 2015 study by the Central Pollution Control Board, close to 26,000 tonnes of plastic waste is generated every day in the country. While there have been efforts to address this problem – in June, the Maharashtra government banned single-use plastic, among the 25 Indian states and union territories to do so – the implementation continues to be lax. According to the industry body FICCI, the plastic packaging industry in India is worth $32 billion, and India exports to 150 countries. Environmentalists suggest the issue of mounting plastic waste needs to be dealt with at the production stage itself. One way this can be achieved is through sustainable packaging, which reduces the use of materials that add to our carbon footprint. According to a report in April, the Asia-Pacific region – of which India is a part – is already the biggest market for sustainable packaging. In the next decade, the demand for such options is expected to rise mainly in Japan, China and India. In India, it is the ban on single-use plastic that is pushing people to look at alternatives, and providing a market for manufacturers of green packaging. There is also a demand among a small but growing segment of environmentally-conscious consumers. As a result, the market has more options of paper, jute, cloth and even plant-based packaging. Even start-ups like Swiggy and Zomato now offer recycled packaging materials. “While we need to eliminate plastics – from a policy point of view and business – the much larger issue is the issue of overconsumption,” said Dharmesh Shah, an environmental policy researcher in Chennai. “Of the popular three Rs – Reduce, Reuse and Recycle – companies have promoted only recycle. Reduce hits at consumption.” The key, says Shah, is a long-term solution as opposed to short-term fixes. In June, Pepsico India announced that the packaging for its snack products, Lays and Kurkure, will be made from 100% compostable, plant-based material before the end of this year. While India will be the first major market for the initiative, by 2025 the company aims to use either recyclable or compostable packaging for its products globally. 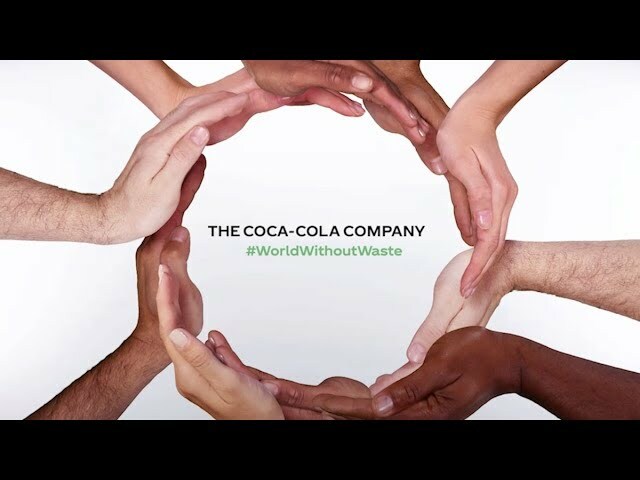 PepsiCo’s competitor Coca-Cola, meanwhile, is focusing on recycling. “We are fundamentally reshaping our approach to packaging,” said a Coca-Cola India spokesperson. “We have set a global goal to help collect and recycle a bottle or can for everyone we sell by 2030.” In Gurugram, the company is working with the NGO Saahas to improve recycling, and promote source segregation of waste as part of their Alag Karo initiative launched in 2017. Tetra Pak India and GIZ are the other partners of the initiative that aims to reach 9,000 households in the area, and segregate waste into wet, dry and recyclable categories. “Our long-term vision is to leverage the scale and resources of our entire system to ensure that our packaging material is reused and recycled to minimise its environmental impact,” said the spokesperson. Despite its well-documented ill-effects, the reason why plastic remains popular is its versatility. It is cheap, and it can be moulded into a variety of shapes and structures. Plastic is also chemically resistant and lightweight. While many of the alternatives fulfil some of the requirements, the search is on for one that fulfils all. Technology is now providing some alternatives. Bio-lutions, a German company that uses agricultural waste to produce packaging as well as tableware, successfully completed its pilot project in Bengaluru’s Ulsoor neighbourhood and their first full-fledged plant began operations in September in Ramanagara, 40 km away from the city. The plant will use 1,500 to 2,000 tonnes of fibres annually – from plants like sugarcane, banana and tomato – along with wheat and rice straw bought locally from the farmers in Mandya, and convert it all into packaging for fruits and vegetables, electronics, trays for surgical equipment and bio-plastic foil for materials that require a waterproof surface. Eduardo Gordill, who founded Bio-lutions in 2012, feels there is a market for companies like his in India because of the waste management problem in the country. “The industry retailers are looking for alternatives because of the ban on plastic bags,” said Gordill. “While plastic and paper are cheap, technologies like ours can make alternatives at competitive prices.” He believes technology like the one Bio-lutions offers can help provide farmers a profitable outlet as well. One of India’s leading fast-moving consumer goods companies, Nestlé India, is also growing increasingly conscious of the impact of the plastic left behind after their products are consumed. “We have reduced the use of plastic packaging by 1,500 tonnes through packaging optimisation and will continue to work in this direction,” the company said in a statement. While recycling is an option for some items, he says, promoting reduction and reusing will not go well with manufacturing industries as it will hit profits. “We are not yet mature enough to look at it, but future policies will have to look at de-growing instead of boosting over consumption,” Shah said.